Marvin J. Howard, Sr. was born in Montezuma, Georgia where he attended both elementary and high school. Upon graduating in 1977, he attended and graduated from Albany State University in Albany, Georgia with a Bachelor of Science degree and a Master's degree in Middle Grades Education, and L-5 certificate in Leadership. He furthered his education and earned a Specialist degree in Leadership from Troy State University in Alabama. He earned his Doctoral degree from Nova Southeastern University in Fort Lauderdale, Florida. Dr. Howard has attended several other colleges and University such as: Brewton-Parker College (Mount Vernon, Georgia), Valdosta State University (Valdosta, Georgia), and South Carolina State University (Orangeburg, South Carolina). Dr. Howard has taught in Telfair County for ten years at the following Schools: Central Middle School, Telfair County Middle School, and Telfair County High School. He has been an assistant principal (Hawkinsville, Georgia for two years). He spent three years with the Laurens County Board of Education. He has been an assistant principal at Bradwell Institute for eight years (Hinesville, Georgia) and two years as Principal of the Liberty Education Alternative Division (Hinesville, Georgia). Currently, Dr. Howard is the principal of Montgomery County Middle School in Mount Vernon, Georgia. Dr. Howard has spent twenty years as a middle and high school coach. While in Telfair County, he was the head coach of the girl’s basketball, head coach of girls and boy’s track team, head coach of the softball team, and an assistant coach in football. While in Hinesville, Dr. Howard served as an assistant basketball and football coach at Bradwell Institute. 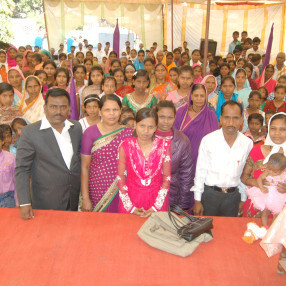 Dr. Howard has been pastoring for 30 years. 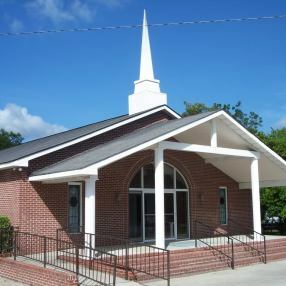 He has pastored churches in Dawson, Georgia, Richland, Georgia, Alamo, Georgia, Cochran, Georgia, Soperton, Georgia, Mount Vernon, Georgia, Ailey, Georgia, and Higgston, Georgia, and Saint John A.M.E. Church in Ailey, Georgia. 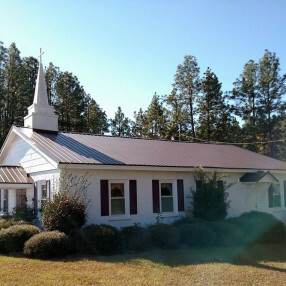 Lastly, he pastor Holsey Chapel Christian Methodist Episcopal Church in Fitzgerald, Georgia. He is married to Susie A. McRae Howard (28 years, a teacher at Montgomery County Elementary School). They have three children: Marvin "Jerome" Howard, Jr. (a Georgia Institute of Technology graduate), Angel Renee Howard (a Junior at Fort Valley State University), and Landon Wilson (5 years old and a kindergarten student at Montgomery Elementary School. His motto is: "If God Brings You To It, He Will Bring You Through It." Go here? Tell us why you love Corinth CME. Visited? Tell us what a newcomer can expect. 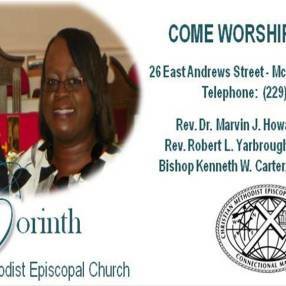 Enter your email address to receive an informative welcome email from Corinth CME.